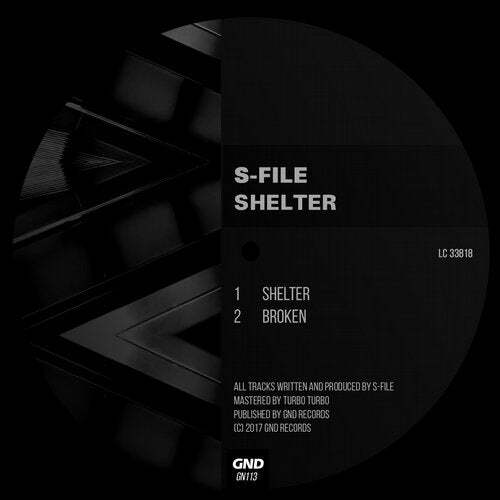 S-File is back with his second record in this year. Broken and Shelter is his new double a side record. Shelter is a monster tune with a catchy old skool vox hook, that guaranteed work on the dance floor. Ben Sims played them early in his NTS Live Show and also the Baron of Techno, Dave Clarke played the track as opener in his Tomorrowland 2017 set. He sayed also in his White Noise Show: This is a weapon for all festivals. The second track on the record is a catchy broken beats tune with a catchy chord hook.